Two new partnerships between the University of Nebraska College of Law and the U.S. Patent and Trademark Office will give Husker law students a new way to practice intellectual property law, while providing area entrepreneurs and inventors the help they need with applications and issues. On Aug. 14, Nebraska Law students in the Weibling Entrepreneurship Clinicwill begin practicing trademark law before the patent and trademark office. Nebraska Law recently joined 50 other law schools in the United States in being selected for the office’s Law School Clinic Certification Program. Brett Stohs, the Cline Williams Director of the Weibling Entrepreneurship Clinic at Nebraska Law, said Husker students will gain experience drafting and filing trademark applications for their clinic’s clients. Authorized to practice before the federal patent and trademark office under faculty supervision, they also will gain experience answering “office actions” – when USPTO raises an issue with a client’s application – and communicating with trademark examining attorneys for applications that they have filed. Clients will also benefit, receiving priority service from dedicated program examiners at the trademark office, Stohs said. Later this fall, the college also will become a complete resource for entrepreneurs and inventors looking for help with trademark filings and preliminary patentability searches. The Schmid Law Library at McCollum Hall will become the state’s Patent and Trademark Resource Center. 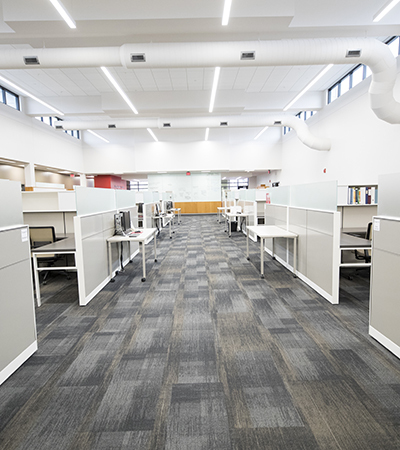 Richard Leiter, director of the law library, said Schmid reference librarians are well positioned to help clients research complicated legal issues, including the search of patent and trademark databases. Librarians also will offer training and information sessions about available resources.